You Can’t Afford to Avoid Dog Training Problem Solving. The costs of untreated dog training problems for both owners and their dogs are immeasurable. Many owners become afraid to touch their dogs (if they’re aggressive) or leave their dogs alone at home (if they’re destructive). Property damage and veterinary and medical bills can run into thousands of dollars. Getting a Golden Retriever is a great way to start in the world of dog ownership as they make the perfect family pets once trained. Are Golden Retrievers easy to train? Golden’s are indeed one of the easiest breeds to train, they are intelligent by nature. Sadly, many dogs are banished to the basement or the backyard when their owners run out of patience and ideas about dog training problem solving. Even worse, roughly four million dogs are abandoned to animal shelters every year. Many are turned in because of misbehavior ranging from hyperactivity to biting. Of those, over half are euthanized. 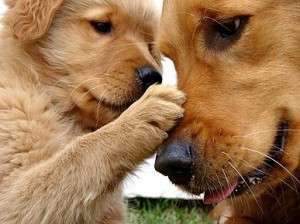 If you adopted an older Golden Retriever that didn’t have the benefit of good puppy training, we’ll help you correct the problems that may have resulted from his earlier training neglect. And if you made a few mistakes along the way that caused some behavior problems, we’ll help you there, too. 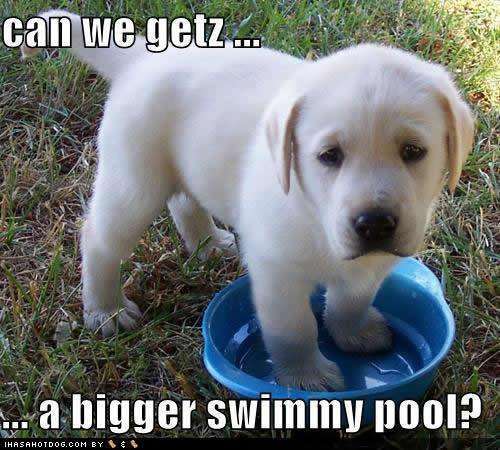 You can follow the same training procedures even if you bought a Golden Retriever puppy. Dog training problem solving can be a successful endeavor at any stage of the game. It’s never too late! Aren’t they just the most beautiful dogs in the world? OK, I’m probably just a bit prejudiced by my own love of the breed. But I know how much Golden’s are adored by their owners and admired by all. 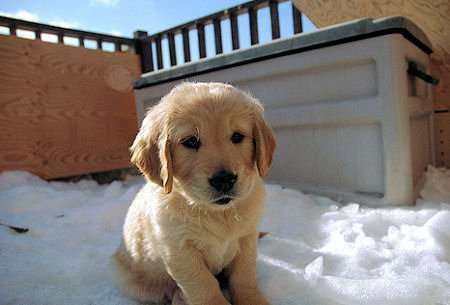 Golden Retrievers have the natural keen sense to learn and obey, they are highly intelligent dogs by nature. Canine training is the key to bringing out all of the positive personalities of this breed. Do you love to talk about your furry friend? Are his latest exploits and adventures the subject of your water cooler chats? Is he amazingly talented? In what way? Has he comforted you when no one else could? Does he keep you laughing with his goofy grins and comical capers? This is what rocks the relationship. 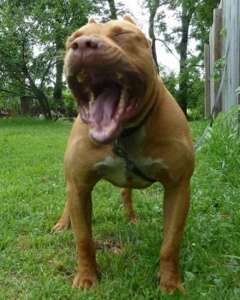 But with love you should keep training also in mind when you think about your beloved pet. Before you rush into a training or re-training program, take time to get to know your canine companion and develop a bond. Why? By focusing on building a relationship with your pet before you try to train him, you’ll become best friends. And once your pup knows you’re his best friend, he’ll learn more quickly because he loves you and wants to please you. Best of all, he’s not being forced to obey somebody he doesn’t even know. If you’ve already had your pet for a few weeks, or even a few years, you can still rebuild and strengthen your bond with him and have a great relationship. Dog training problem solving takes understanding and patience, but the rewards are worth it. Most behavior problems can be solved with good training (patient and positive), re-direction (chew this, not that), environment management (putting the trash can out of your dog’s reach) and proper exercise (especially for hyperactive dogs). I have a bond with my Golden Retriever, now what? Behavior Dog Training, here are some of the common dog training problems and the steps to solve them. There is also a very interesting video to teach you the right way of training your dogs.